The Liberty Faceted 1-1/4 in. Satin Nickel Knob is made from metal and acrylic to duplicate the look of glass while still maintaining the durability of acrylic. The handsome Victorian design is accented by a clear and satin nickel finish. Mounting hardware included for easy installation. The Liberty Bundled Reed 1-3/16 in. Venetian Bronze New Traditional Knob features a classic design to add a beautiful accent to your kitchen or bathroom cabinetry. Make a statement without having to say anything at all when this knob is displayed. Installation is easy and the necessary hardware is included. 1-3/16 in. 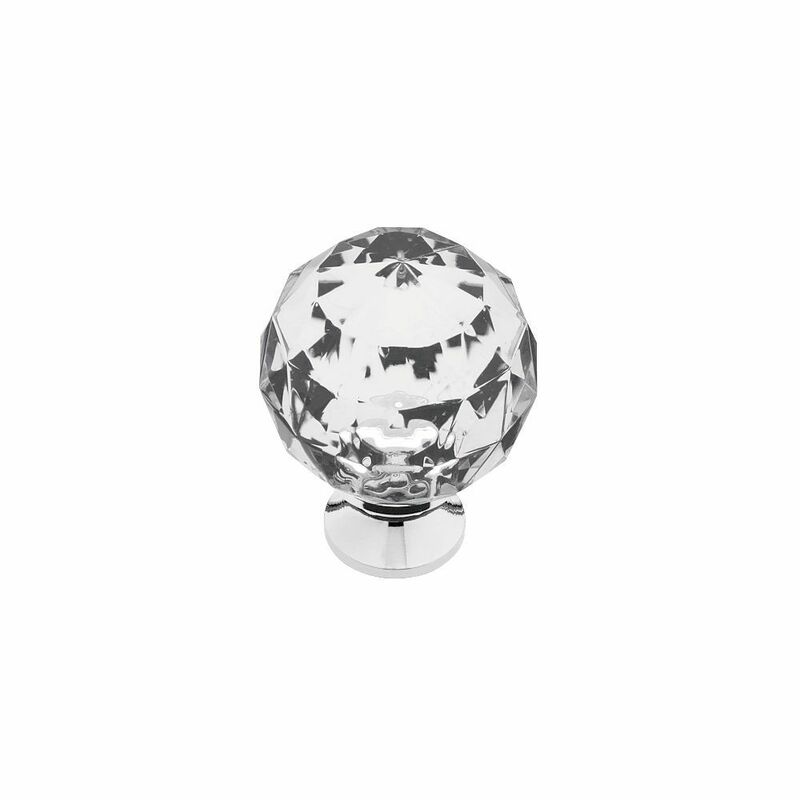 Acrylic Faceted Knob with Brass Base Add a look of sophistication and luxury to kitchen or bath cabinets with the Faceted Acrylic knob. Multiple finishes available. Installs easily with included hardware and is a noticeable change for any cabinetry. 1-3/16 in. Acrylic Faceted Knob with Brass Base is rated 4.7 out of 5 by 60. Rated 3 out of 5 by Adesparatehousewife from It wasn’t exactly what I wanted. ... It wasn’t exactly what I wanted. Rated 5 out of 5 by John from Excellent appearance. Knob complimented cabinet on which it was... Excellent appearance. Knob complimented cabinet on which it was installed. Rated 4 out of 5 by Lisa from It was a gift.... It was a gift. Rated 4 out of 5 by Jojo from Very Pretty! Purchased these to Glam-up a drawer unit and these certainly did the trick! Very high-end looking. My only negative was that the threads seemed to be stripped on one of the knobs and I couldn’t install it. Given that they are only sold online, I couldn’t exchange easily so I had to try a bunch of things to make it work. Finally did but a big a waste of my time to do so. Rated 5 out of 5 by John from Met my expectations. ... Met my expectations. Rated 5 out of 5 by HappyCustomer77 from they are beautiful !!! they are beautiful !!! Rated 3 out of 5 by cp14 from Knobs Happy with the product it self but not happy that I had to pay additional fees to import the item. I received the item and then 2 weeks later get a letter in the mail saying I owe $25 in import fees which was how much my items were. I was definitely not happy to have to pay double the price for my items.